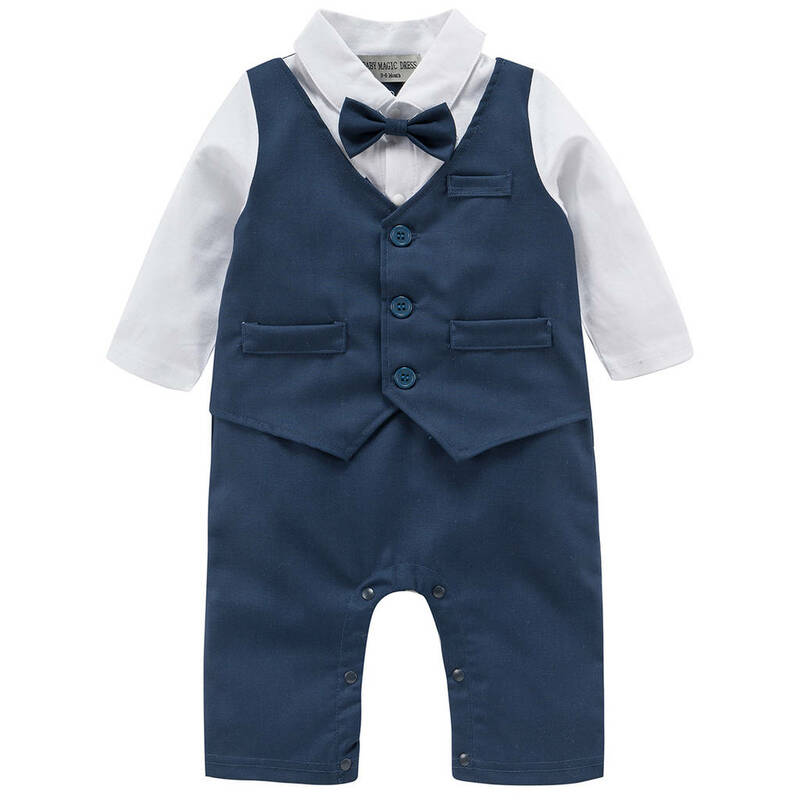 This smart designed baby boy's all in one outfit in navy and grey colour. 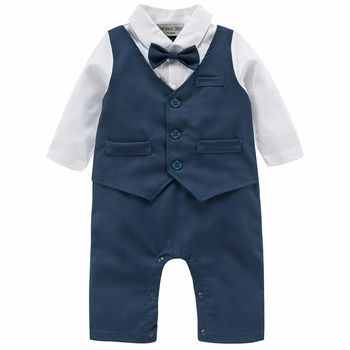 It combined a soft shirt, waistcoat, trousers and a detached bow tie. The outfit is designed in 1pc which makes even more practical for your little hero to wear and looks fantastic. It also features inside leg press-studs for easy nappy changing. The bow tie colour can be personalised to your preferred choice from the colour selection list. 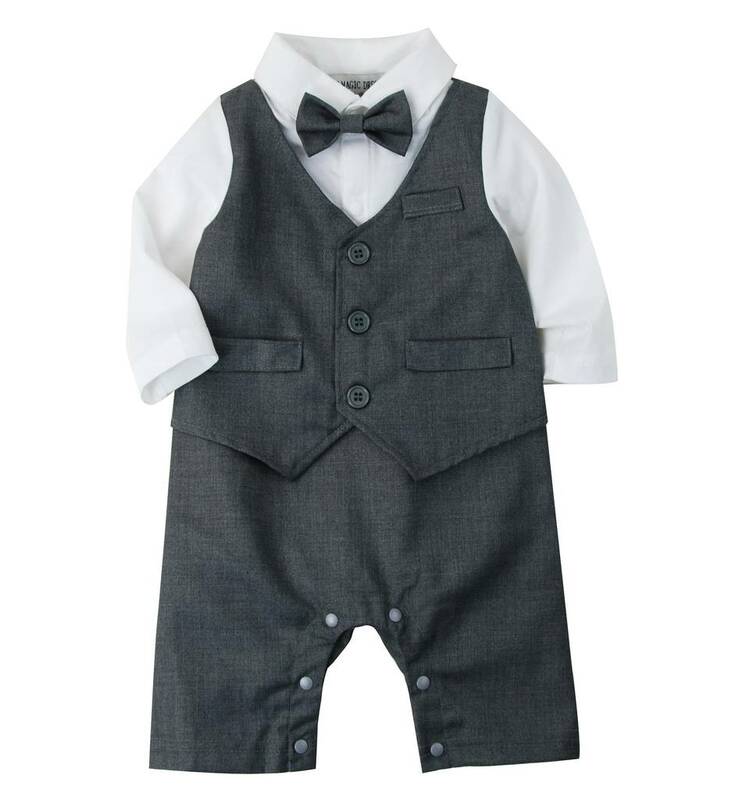 This smart and formal looking suit is ideal for a page boy, weddings, parties, fancy dress, family pictures or for any other special occasion. Shirt: 100% cotton. Waistcoat and trousers: 70% Polyester, 30% Viscose. Machine wash at up to 40 degrees celsius. We do not recommend tumble drying. 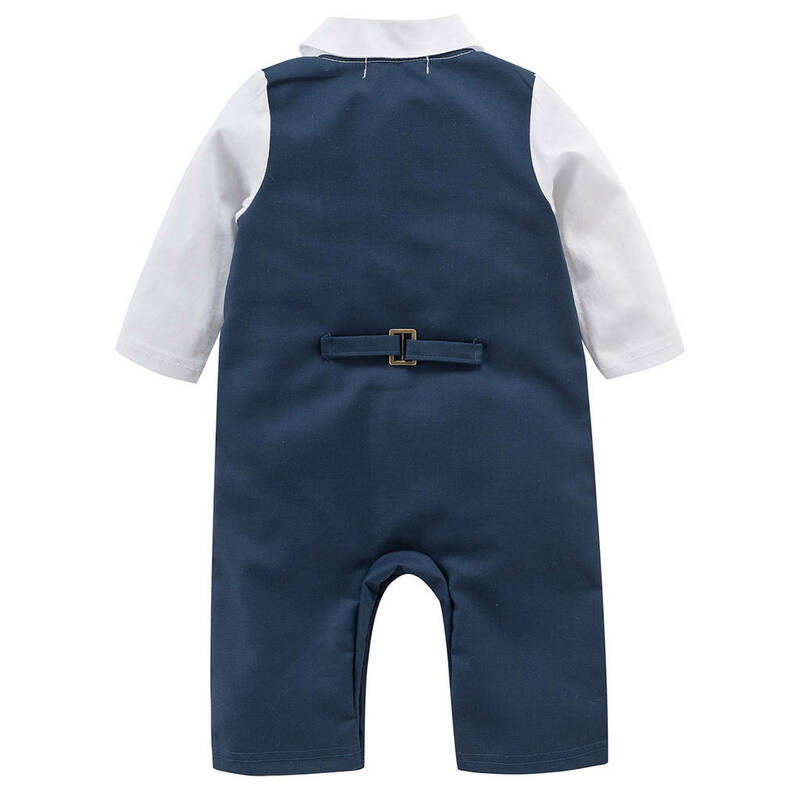 This product is dispatched to you by baby magic dress.